Here is a good news for Samsung Galaxy Tab 2 7.0 P3100 owners. Samsung has finally started rolling out the Android 4.1.1 Jelly Bean firmware update for the popular 7″ tablet for selected European countries. Galaxy Tab 2 users in Italy, Greece, Spain, Germany, Romania and Slovenia happen to be the first to get the Jelly Bean update. The new firmware is a branded one and is available currently only for Vodafone and SIM users. 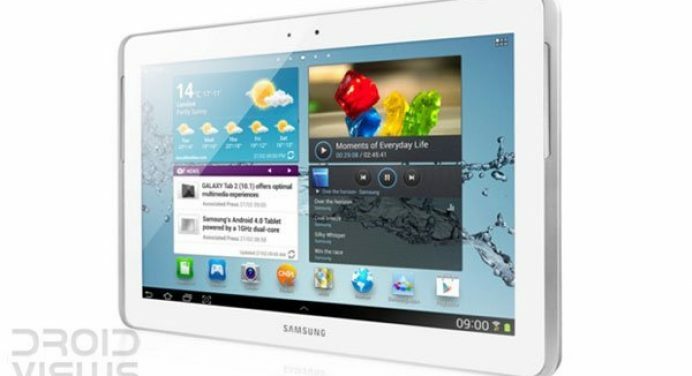 The Android 4.1.1 firmware for the Galaxy Tab 2 P3100 can be updated via Kies or Over the Air (OTA). To check if the update is available for your Tab 2, go to Settings> About> Software Update. You can also update the firmware of your tablet manually too. Here is an easy tutorial that would guide you to flash the Jelly Bean firmware to your Galaxy Tab 2 GT-P3100 manually. Download the appropriate firmware from the links provided above and extract the zip to your desktop. Download Odin3_v1.85.zip and extract it too. Backup your contacts, messages, apps, etc. using Google Sync, Kies, and some good backup app. Charge your Tab 2 to at least 70% battery level. Turn off the device and boot it into Download mode: press and hold Volume Down+Power buttons simultaneously till the Samsung logo flickers for two times and you see the screen that prompt to enter Download mode. Go to the Odin3 folder and run the .exe program found there. Connect your tablet to the computer via USB cable and wait till the connection between the device and PC. A successful connection is indicated by Odin3 by yellow highlight at IC:COM port and “Added!” text at the message box at the bottom. If the firmware has only one file with .tar.md5 extension, click on PDA button on the Odin3 and then Start button to flash the firmware. The installation might take a few minutes and when it finishes successfully, you will see ”PASS!” message on ID:COM. Finally, your device will reboot automatically with Jelly Bean firmware installed on it. Αναρτήθηκε από PcMan στις 5:01 μ.μ.